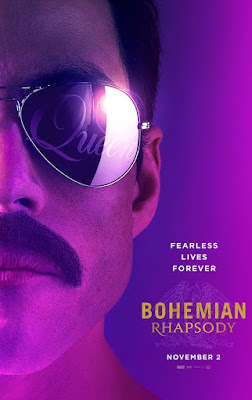 Due in theaters November 2 and directed by Dexter Fletcher, the project stars Rami Malek as Freddie Mercury and follows Queen from their creation in 1970 – when the singer teamed up with guitarist Brian May and drummer Roger Taylor – to the band’s iconic 1985 performance at Live Aid. “This film has been 8 years in the making but I truly believe that it’s been worth it because I’m so proud of what we’ve accomplished,” explains producer Graham King. “The movie is a true celebration of Queen’s music and a tribute to one of the greatest frontmen of all time: Freddie Mercury. Breaking through stereotypes and expectations, Freddie dared to change everything – believing in himself and his music. Mercury passed away in 1991 at the age of 45 due to complications from AIDS; while bassist John Deacon retired from the music industry in 1997, May and Taylor have continued the Queen legacy with live performances, including tours in recent years with American vocalist Adam Lambert. Queen and Lambert will launch a summer tour of Europe in Lisbon, Portugal on June 7 and play a 10-show residency in Las Vegas this fall. Queen were inducted into the Rock And Roll Hall Of Fame in 2001, and all four original members were inducted into the Songwriters Hall Of Fame in 2003.